At around 1 p.m. on Sunday, November 16, the last day of 2014 Seoul Kimchi Making & Sharing Festival that lasted for three days, the Chairwoman of the Intl. WeLoveU Foundation Zahng Gil-jah’s words of encouragement echoed at the Seoul Plaza. 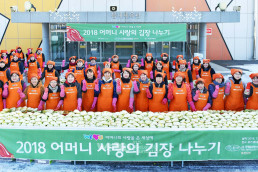 The Foundation has made kimchi and delivered it to neighbors with a mother’s love every winter through the event titled Kimchi-Making Event to Share Mother’s Love; but this year, it was held as a part of Sharing Programs of the Seoul Kimchi Making & Sharing Festival at the Seoul Plaza. 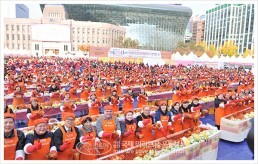 Around two thousand people from various organizations filled the Seoul Plaza to practice neighborly love through kimchi-making. Three hundred and fifty members from the Intl. 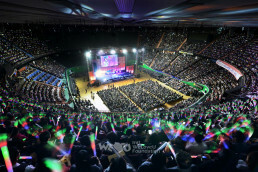 WeLoveU Foundation also made kimchi on the thirty-three tables prepared in front of the stage. Chairwoman Zahng Gil-jah, Sponsor Chairman Lee Sun-jae, Standing Advisor (also, President of the Korea Association for Prevention of Child Abuse and Neglect) Lee Bae-keun, President of Seoul City Council on Social Welfare Hwang Yong-gyu, and President of Seoul City Council on Health and Welfare Lee Sun-jah were present at the event. The Foundation’s invited guests Singer Yun Tae-gyu, Star Athlete Yim Chun-ae, and Actress Choi Ye-jin also participated in kimchi-making. “I feel sorry that my mom always makes kimchi for me. Her kimchi tastes most delicious,” said Im Chun-ae. “I always ate kimchi, but it’s my first time to make one,” said Actor and Sponsor Chairman Lee Sun-jae. He joyfully made kimchi to help neighbors together. “In the old days when everybody was poor, mothers worried about kimchi and coal briquettes whenever winter came. Today, such a lot of people came to make kimchi to share it with our neighbors. 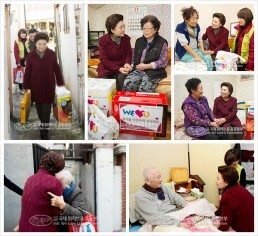 It’s surely a great and worthwhile job to do,” said Singer Yun Tae-gyu, who had always joined in the Foundation’s event of sharing love. “Though I’m not good at making kimchi, I’ve come to give a hand even a little. I’m learning a mother’s warm love through the Intl. 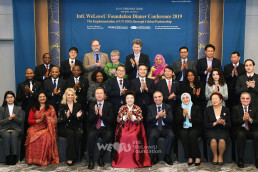 WeLoveU Foundation,” said Actress Choi Ye-jin. 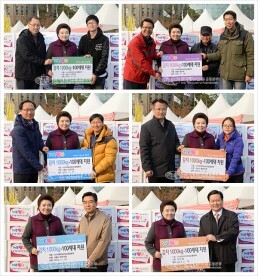 She also gave thanks to the members who made efforts behind the scene. Actually, the members of the Intl. WeLoveU Foundation had prepared for kimchi-making since last August. The members in Okcheon planted cabbage seedlings in the field, grew them with care for several months, and had a bumper crop, this year. Each cabbage weighed around 8 kilograms (17 pounds) on average. They harvested them on Wednesday in the previous week, and began trimming and salting on Thursday. After washing them, they brought the cabbages along with seasoning made of squid, oyster, shrimps, fermented anchovies, pickled shrimps, kelp and anchovy broth, and glutinous rice to the Seoul Plaza in the morning of the event. 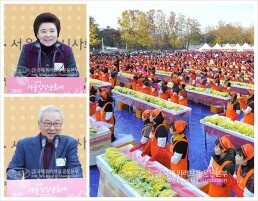 Seeing the “gigantic” cabbages placed beside the Foundation’s kimchi-making tables, citizens and foreigners were surprised and took pictures of them. Foreigners who were passing by showed their particular interests in this kimchi-making event held in a large scale to help neighbors. Looking at the event with impressed looks, they took pictures of it. Some agreed with the purpose of the event and volunteered to make kimchi. Mr. Virzi whose career is in law from Panama was staying at a hotel near the square. He ran to the site when he saw people making kimchi. “It’s quite impressive to see such many people gather to make kimchi to help neighbors. Kimchi represents Korea,” he said, admiring the charity activities carried out by the Intl. 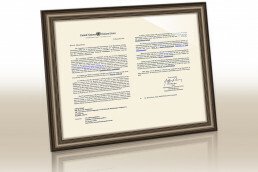 WeLoveU Foundation worldwide. “When you give some things to others, you don’t have it any longer with you. But love is the only thing that remains with you even after you give. With such love of a mother, you make kimchi and help other people. This event is very meaningful and lovely in that sense,” said Dr. Khatchadourian from Egypt. He participated in kimchi-making with the members from the Foundation from the beginning till the end. “The best way to make kimchi is to make it with love so that both we and the ones who’ll eat can be happy,” said Chairwoman Zahng Gil-jah to the participants who made kimchi with care though they might not be experienced. She also gave them kimchi to taste while making. At the well mixed taste of a mother’s love, they gave thumbs-up signs. “It tastes good! I thought it was just a kimchi-making event, but found out this was to help people socially. Very impressive! I’ve considered Korea only as an IT powerhouse, but I got to know their warm-heartedness, too,” said Mr. Barta, an executive of a green building organization from Hungary. “It was good to see many people volunteer for neighbors even on a holiday,” said Mr. Morse from the U.S. Navy Forces in Korea. Within a couple of hours, the Foundation finished making kimchi of 8,000 kg (17,640 lbs). One hundred 10kg (22 lbs) boxes of neatly packed kimchi (in total 7,000kg [15,430 lbs]) were donated right away to the Jung-gu borough office, the Gwanak-gu borough office, the Nowon-gu borough office in Seoul, Ansan City Hall in Gyeonggi Province, the Sujeong-gu borough office, the Jungwon-gu borough office in Seongnam City, and the Yeongtong-gu borough office in Suwon City. 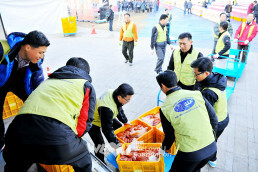 Through governmental offices, the kimchi was delivered to 700 families. The rest of 100 boxes were delivered directly by the Intl. WeLoveU Foundation to unprivileged families. Receiving kimchi, the persons concerned in borough offices promised to deliver it to senior citizens living alone, families with a disabled person, foster families, and so on, saying, “It will be of great help for our neighbors to get through winter.” Chairwoman Zahng Gil-jah delivered kimchi made with care, hoping it will be a good support and comfort to our neighbors, and encouraged the members who worked together. Kimchi was a winter food for common people in the past. When they had kimchi, they could get through even a freezing winter. For the neighbors who still worry about kimchi when the winter comes, the Intl. WeLoveU Foundation has continued the Kimchi-Making Event to Share Mother’s Love every year since 2000. Just as kimchi ferments as time passes by, the love and service of the members of the Foundation ferments and becomes mature, and emits a rich fragrance to the world.